Official statement by investigated Iuventa Crew members. 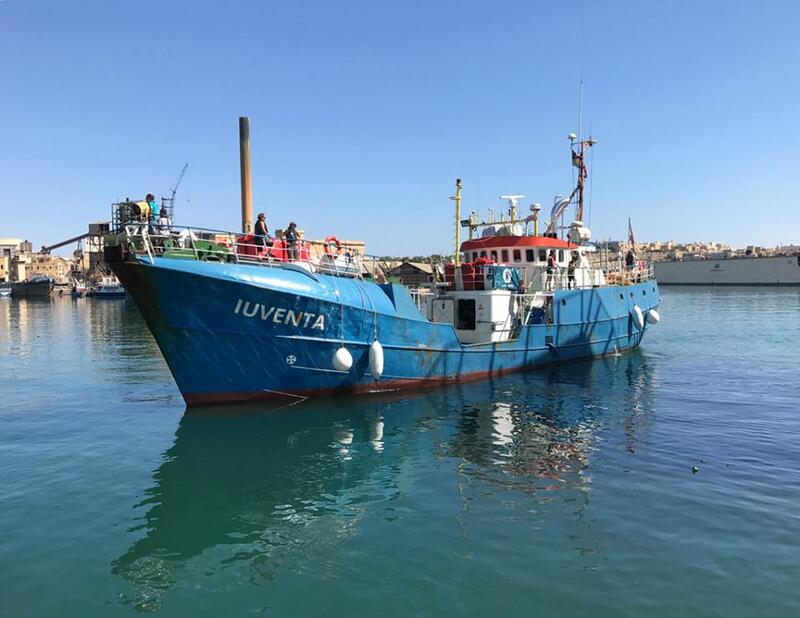 Berlin, 28.07.2018 Almost one year following the seizure of the rescue ship Iuventa of the organisation Jugend Rettet, the Italian prosecutor in Trapani has officially initiated investigations into 22 individuals for allegedly favouring illegal immigration to Italy while conducting rescue operations in the central Mediteranean Sea off the Libyan coast. Amongst those investigated are ten crew members of the Iuventa. The charge carries a sentence of up to 15 years in prison. Since July 2016, the Iuventa has rendered assistance to over 14,000 migrants in distress under the authority of the Rome Maritime Rescue Coordination Center, in strict compliance with international and maritime law. However, the police dossier provided to the crew at the ship’s seizure, on 2nd August 2017, revealed that the Iuventa had for months been at the center of an extensive surveillance operation. The operation drew in multiple law enforcement agencies including undercover operatives which authorized police agents to bug the ship’s bridge and crewmembers’ mobile devices. The seizure of the vessel last year came amid a protracted media war against NGOs that formed the cornerstone of election campaigns run by the Italian right wing. Recent notice of the official investigation from 21.06.2018 comes shortly after the election of those parties to office, and following a decision to shut off Italian ports to ships carrying rescued migrants. The newly instated Minister of Interior, Matteo Salvini of the far-right Lega, has repeatedly called for the seizure of all NGO rescue vessels and the prosecution of their crews. „Both the prosecution of humanitarian rescue and the denial to operate at sea to assist persons in distress is baseless in International law. Italy and the EU are contributing to the death of thousands, in disregard of their most basic constitutional values. Human rights defenders should be cherished and their altruistic work facilitated. Solidarity under EU law is a legal obligation, not a crime.“ Prof. Dr. Violeta Moreno-Lax, Queen Mary University of London. Meanwhile, as three other NGO rescue ships remain frozen indefinitely in the Maltese port of Valletta and two reconnaissance aircrafts are denied permission to launch, the death toll of migrants braving the crossing from Libya has risen dramatically. The investigation and related measures have already caused countless deaths – deaths that could have been avoided had the Iuventa and other rescue ships remained free to operate. Those who have committed themselves to rescuing lives may have to stand trial for providing the most basic of human rights which the European Union has thus far been reluctant to respect. Two people of the Enough is Enough team joined the Cars of Hope collective in Bosnia to work together with refugees to provide mutual aid and to produce independent border monitoring reports from the Bosnian/Croatian border. Read the reports of our last stay in Bosnia: here.